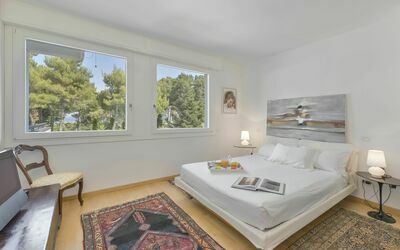 Book now and save the 5 %. Offer valid until 30 April 2019 and for a minimum stay of 5 nights. 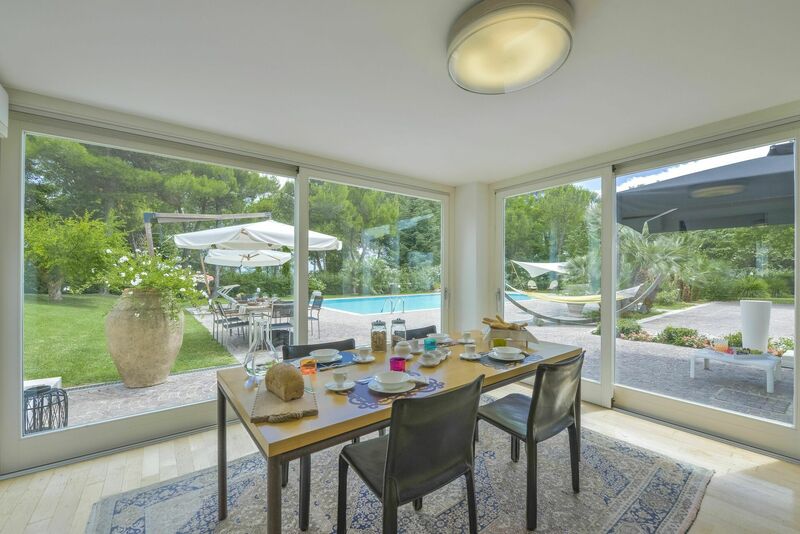 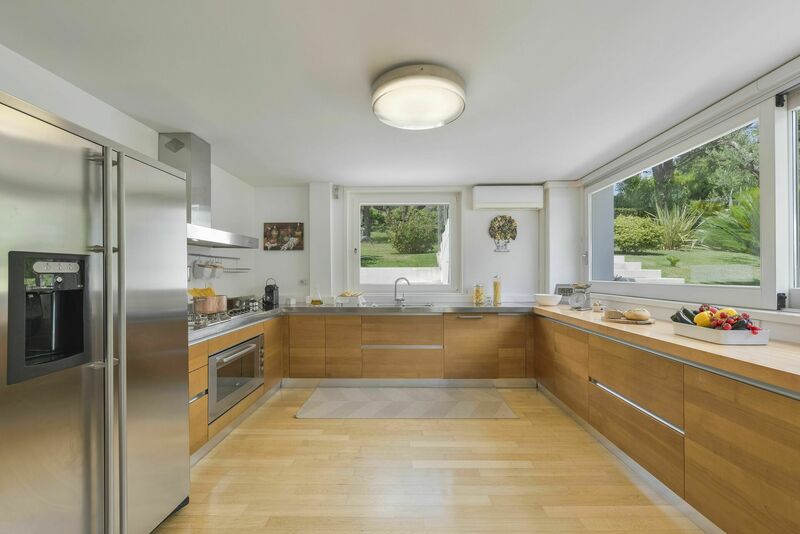 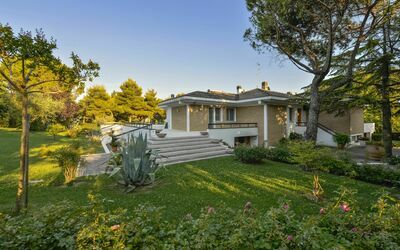 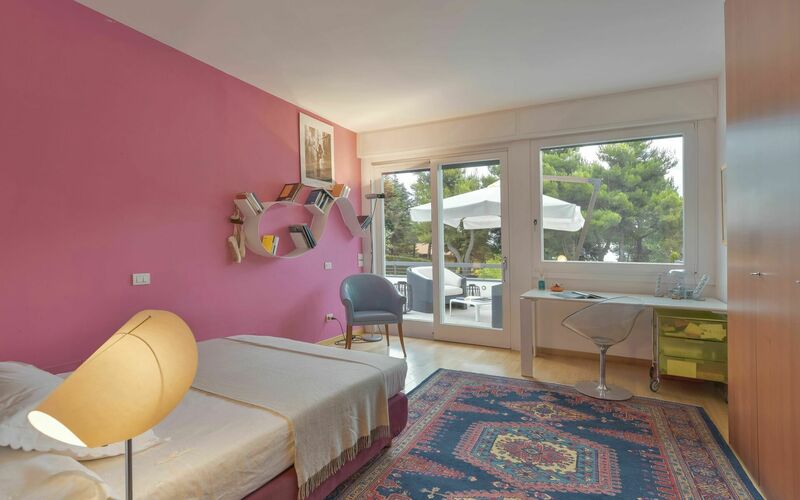 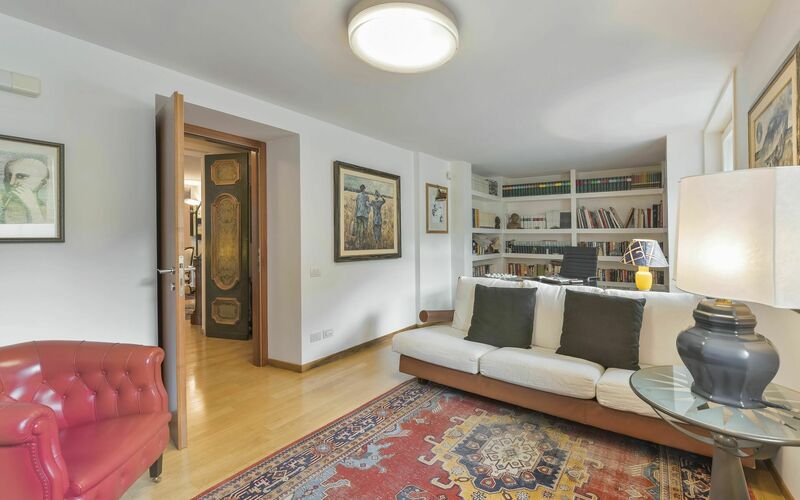 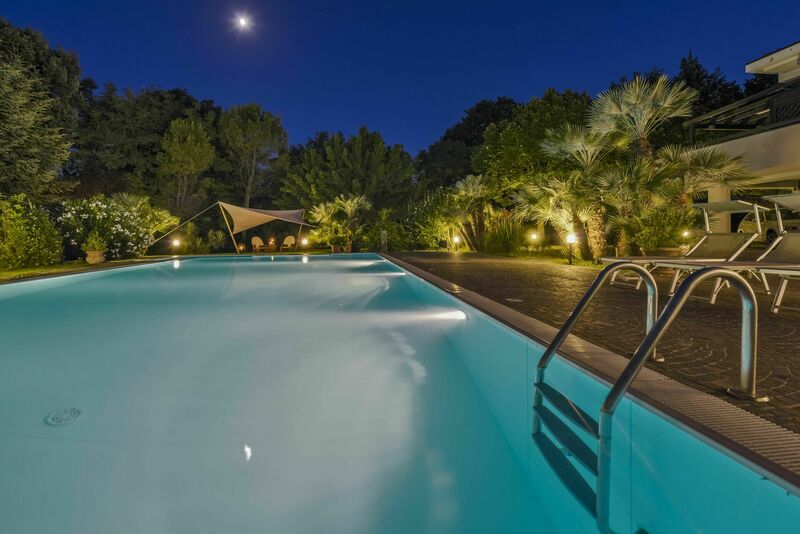 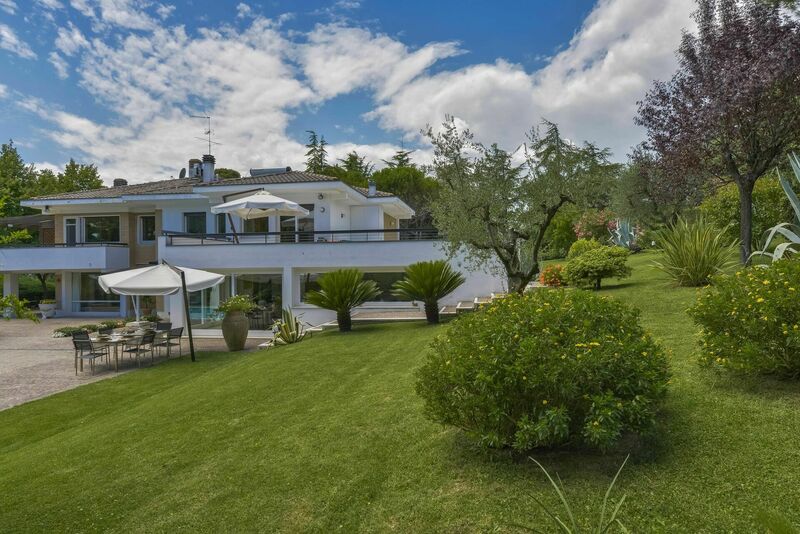 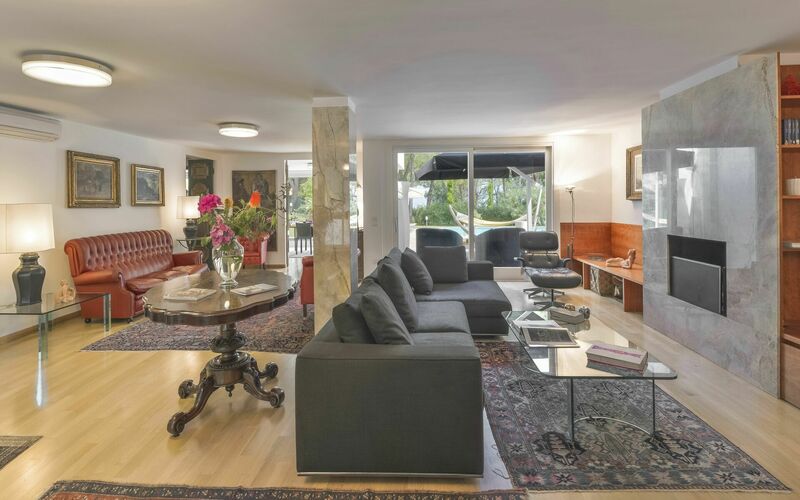 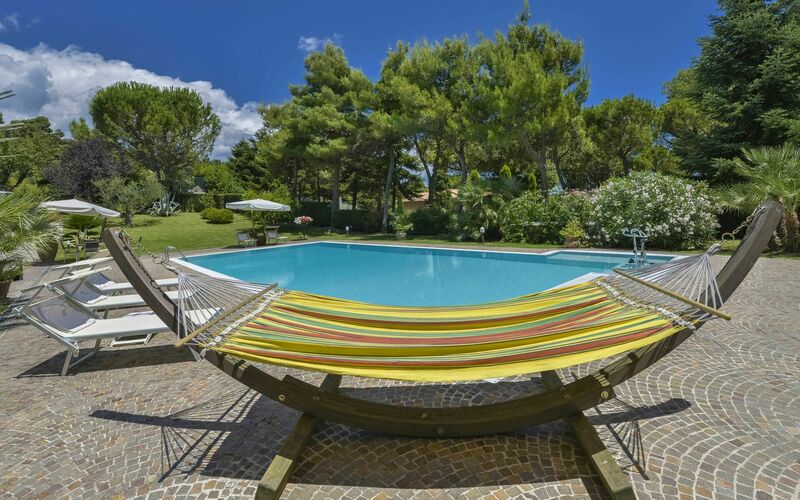 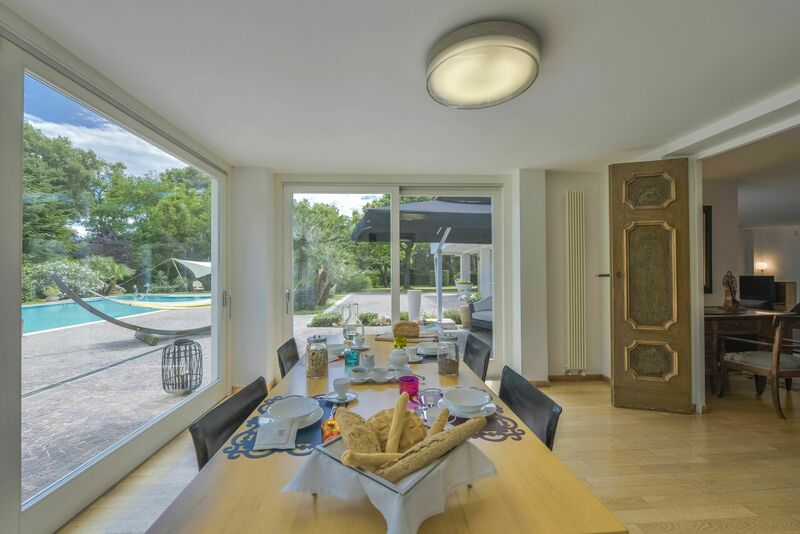 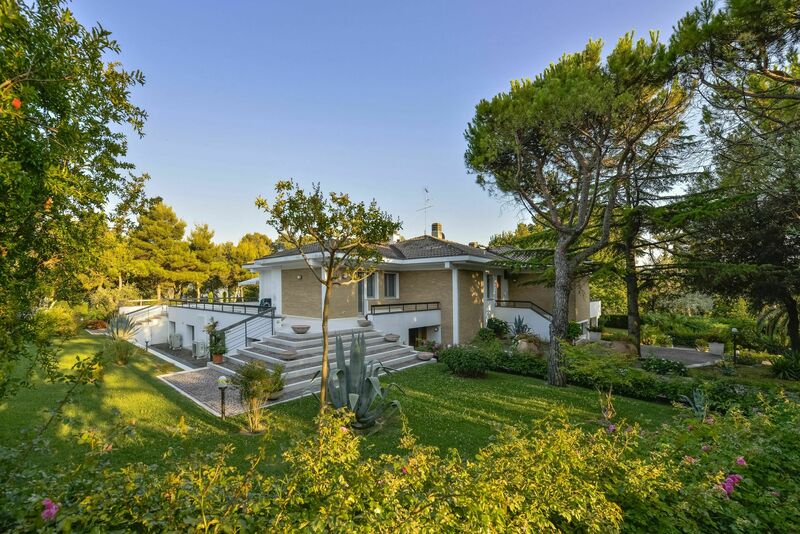 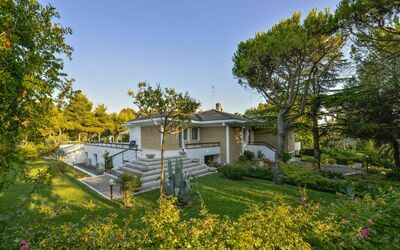 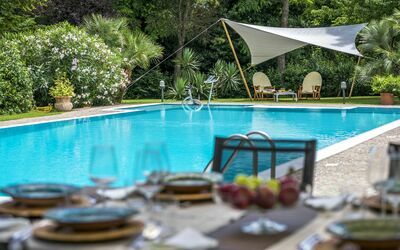 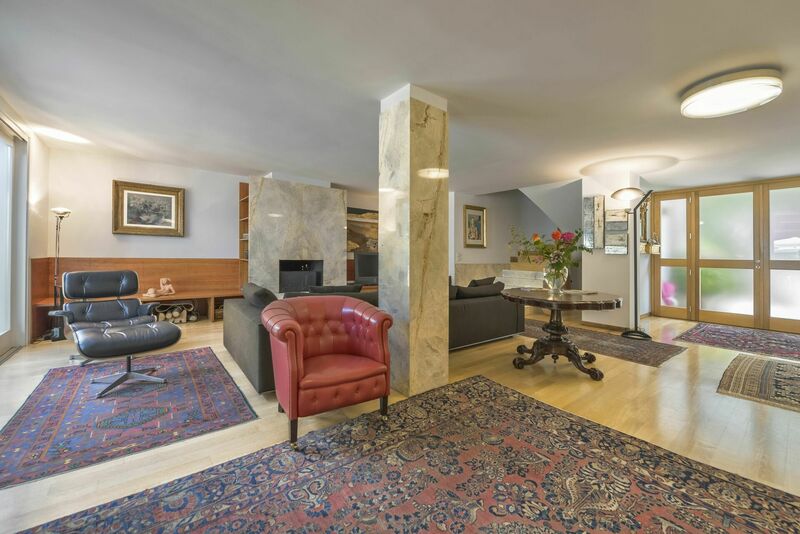 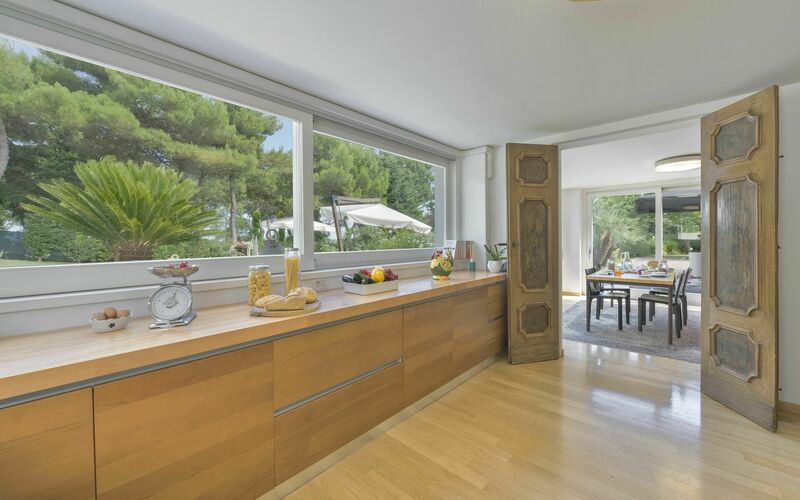 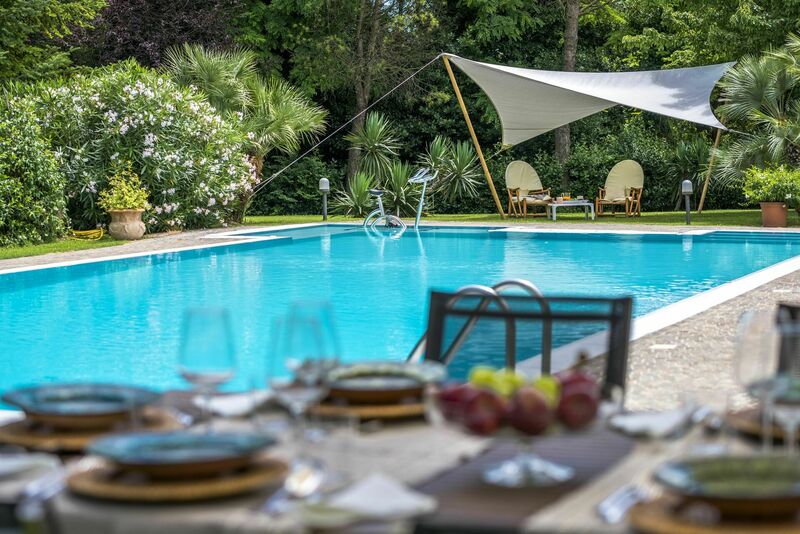 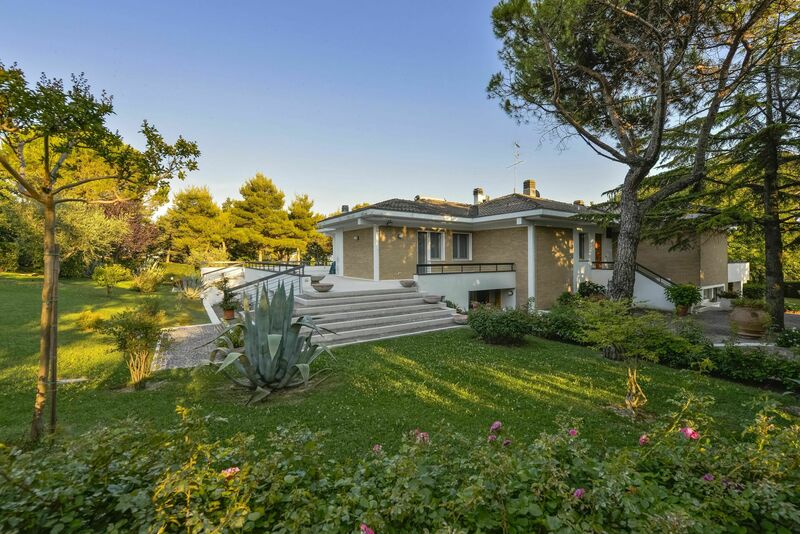 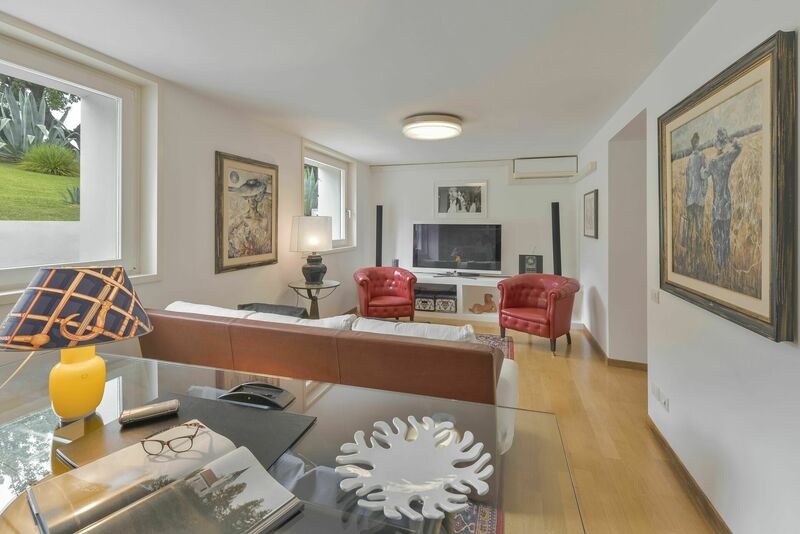 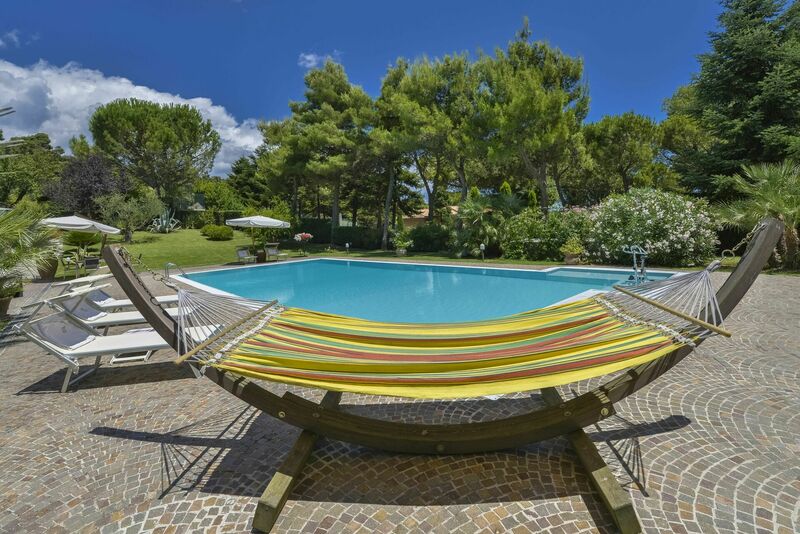 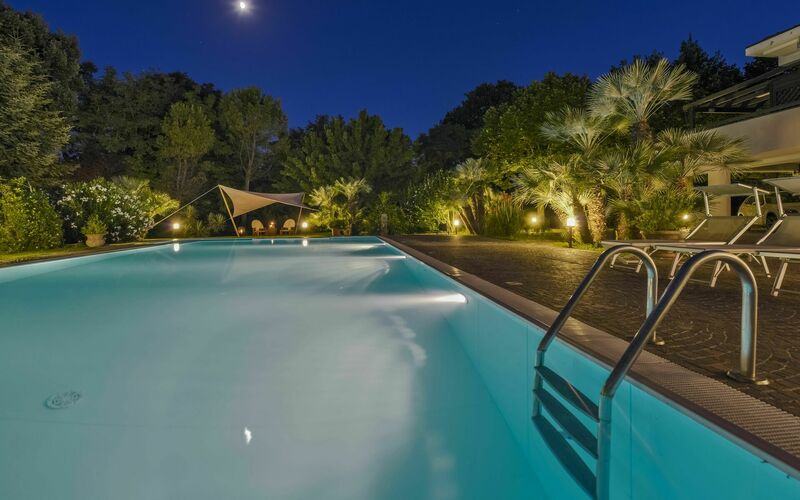 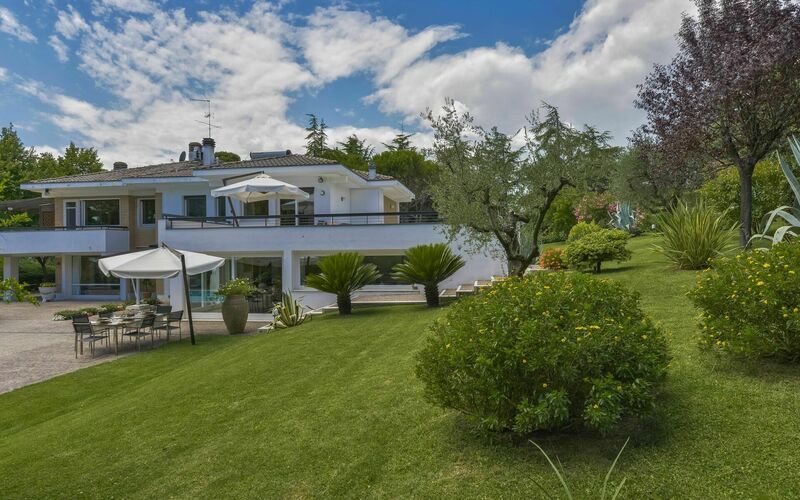 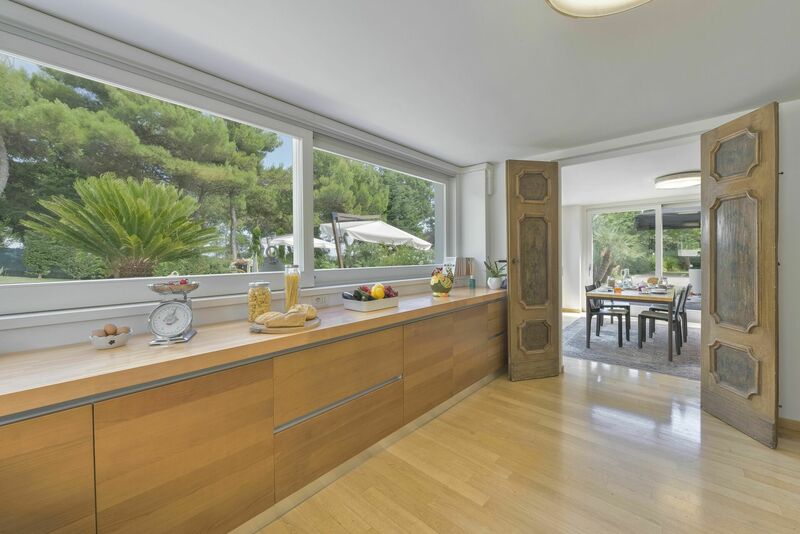 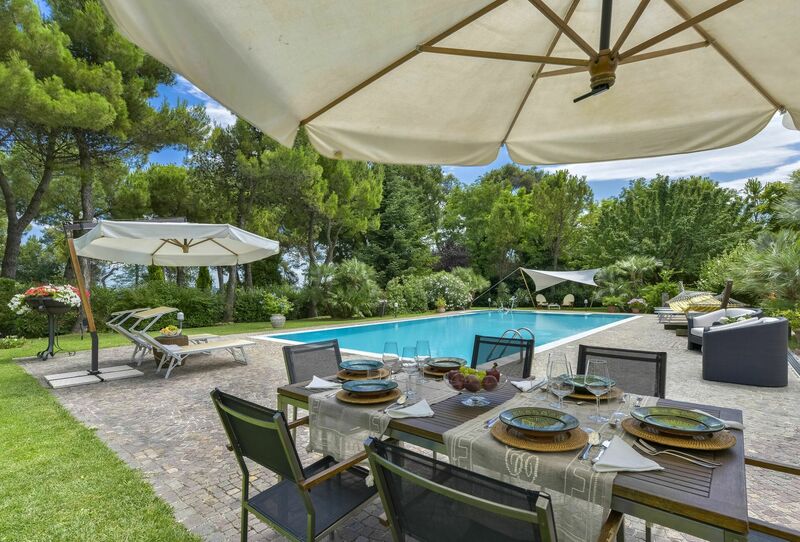 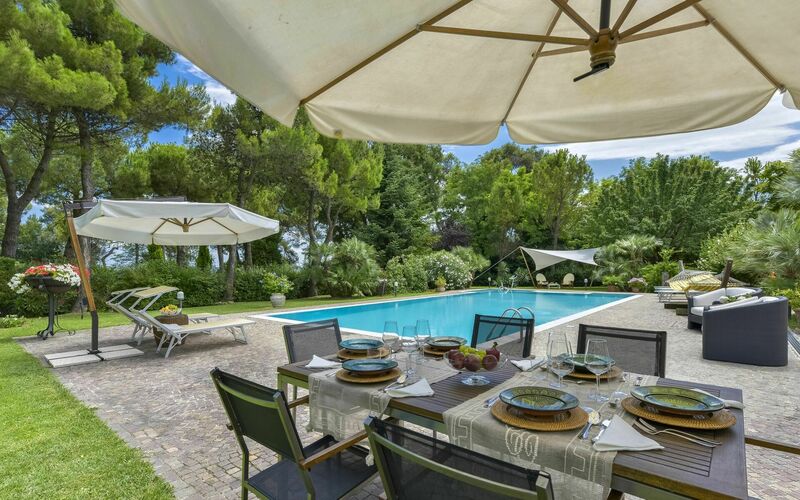 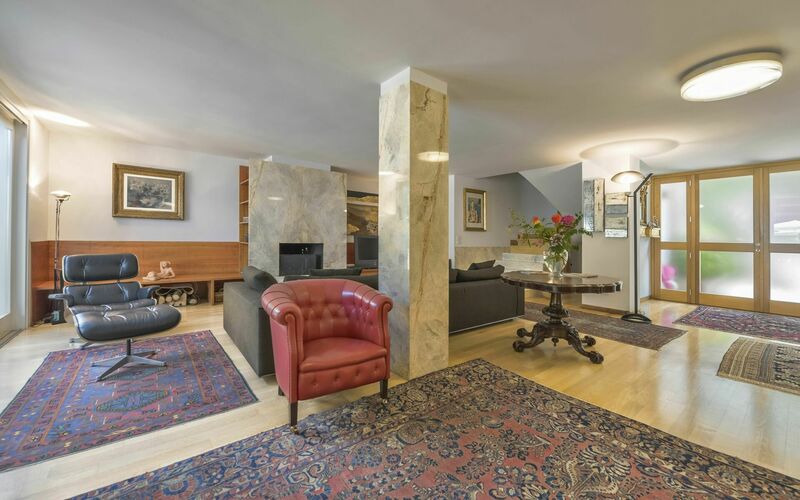 “Villa Il Parco” is a beautiful villa with private pool situated in the Park of Monte San Bartolo, near Pesaro, in a strategic position, just 2 km from the sea and the city center. 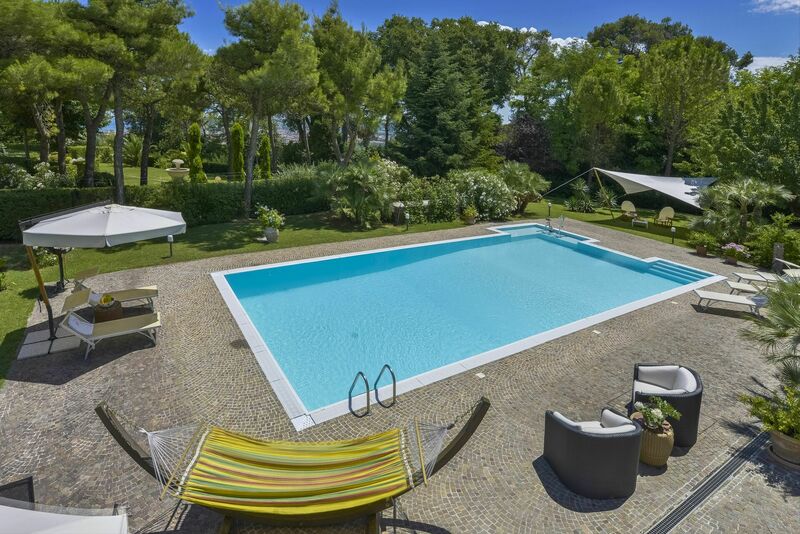 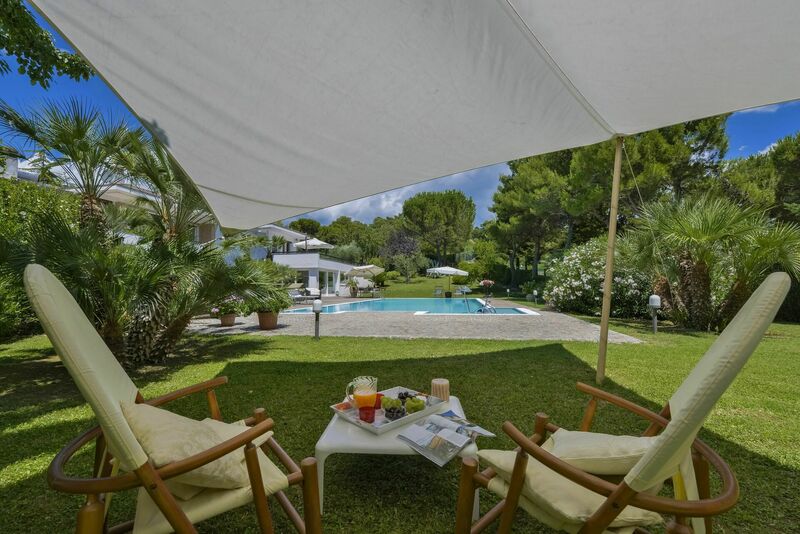 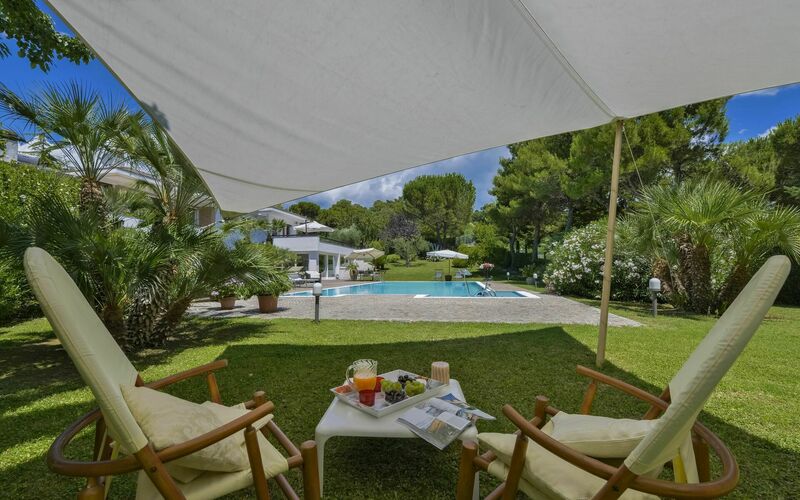 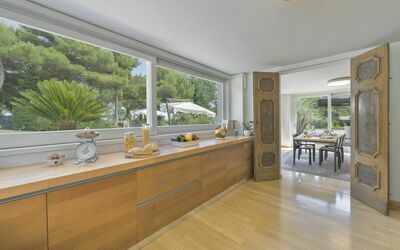 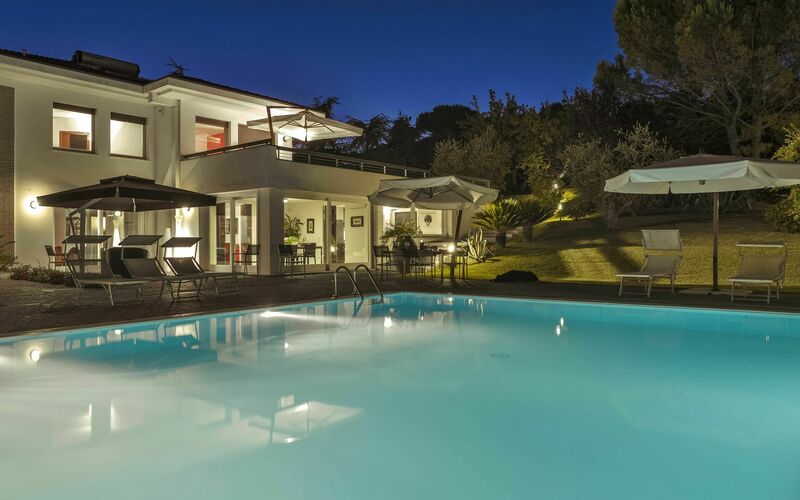 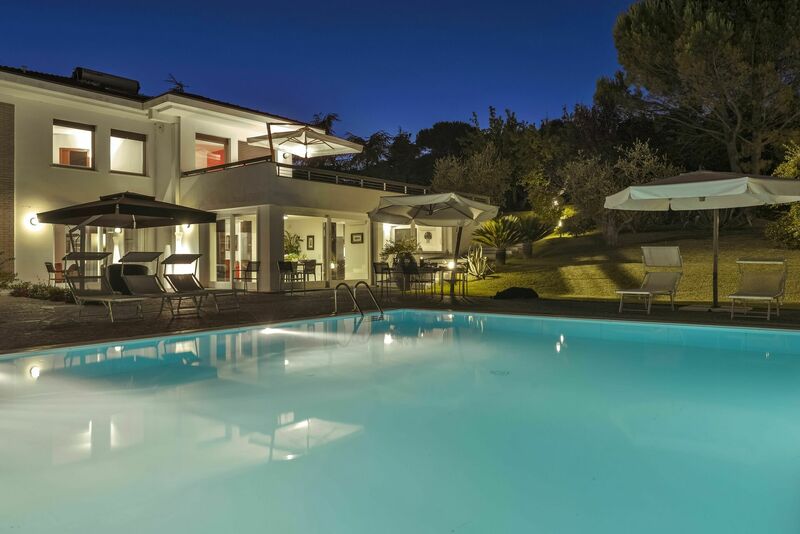 The villa is surrounded by a park of 2,500 meters and a lush garden;the swimming pool (16,00m.x7,00m. 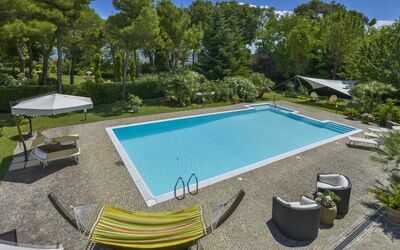 depth 160-190cm. ), is perfect for relaxing on hot days. 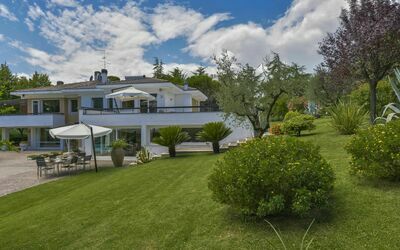 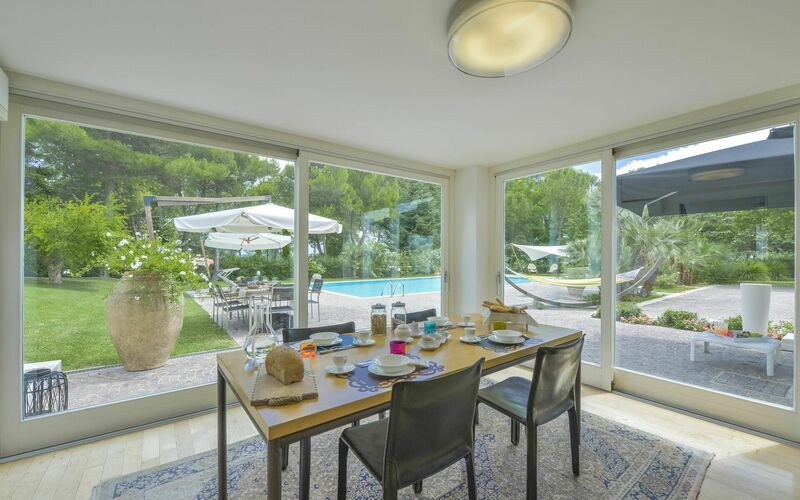 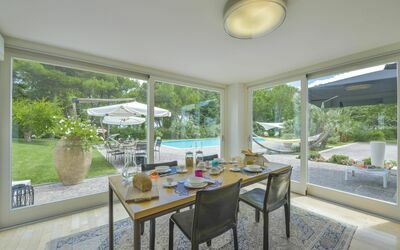 An exclusive villa, ideal for pleasant moments in the company of friends and family, enjoying every comfort and the maximum privacy. 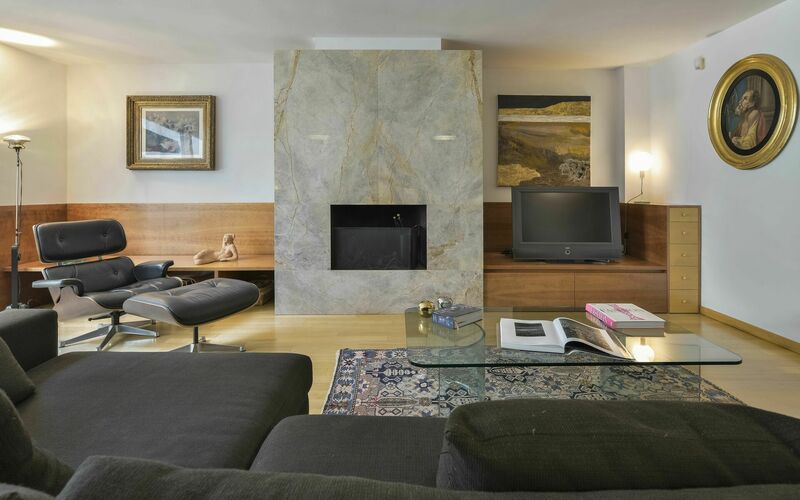 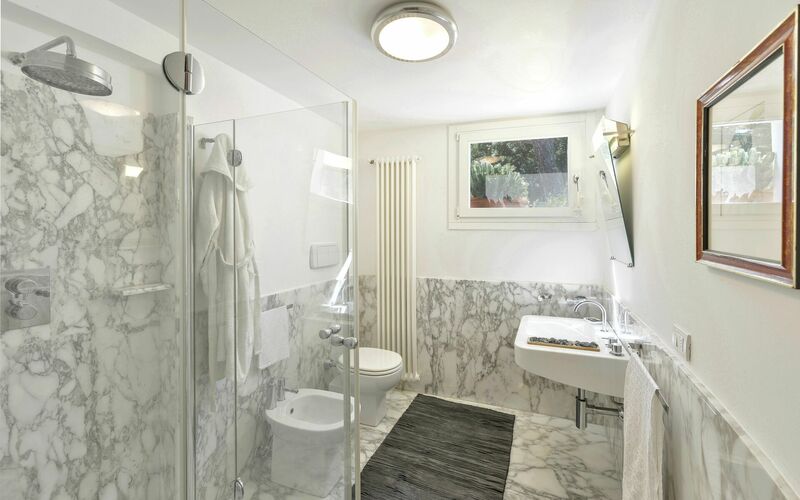 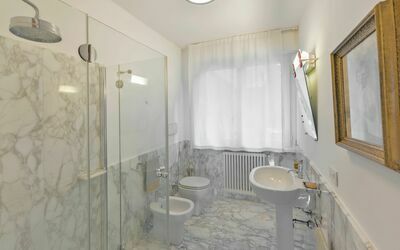 Included in the rental price, three hours of cleaning are provided twice a week. 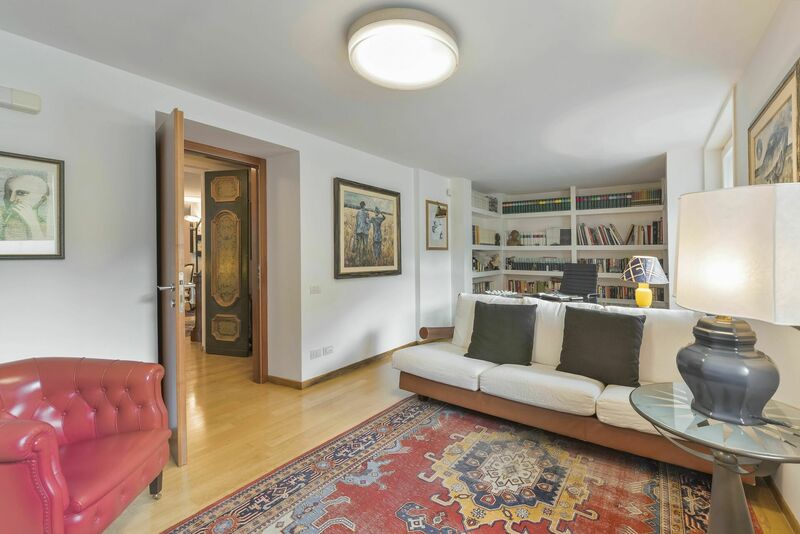 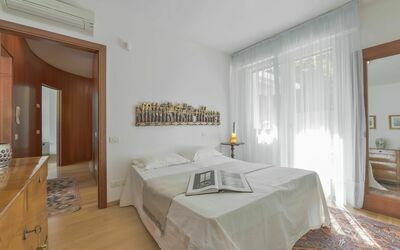 Villa Il Parco is spread on two floors: on the ground floor there is a large and bright living room with sliding windows and views of the garden, a large fully equipped kitchen with dining area, a laundry room and pantry, a comfortable study room with sofa double bed, a toilet and a wooden staircase. 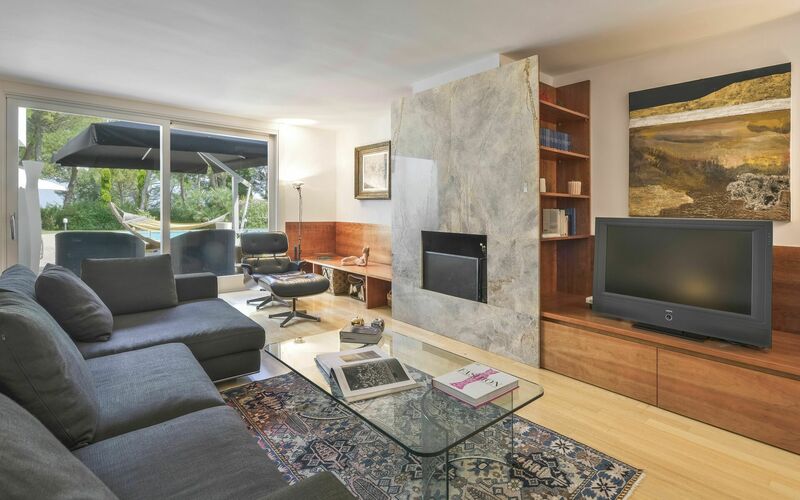 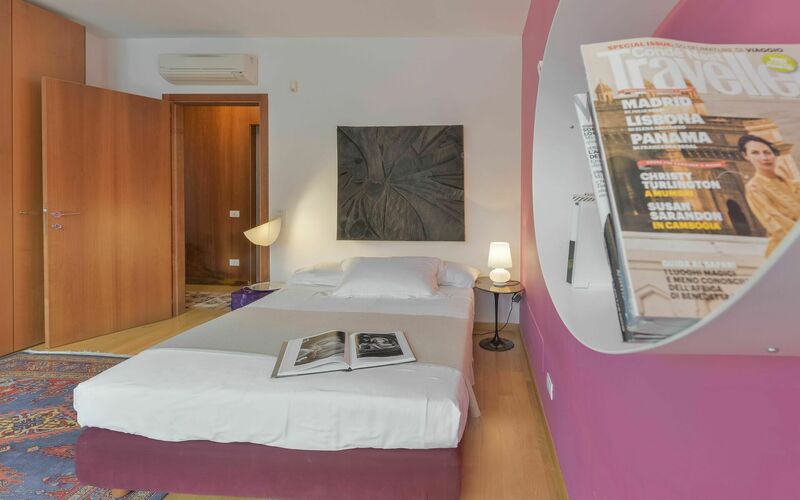 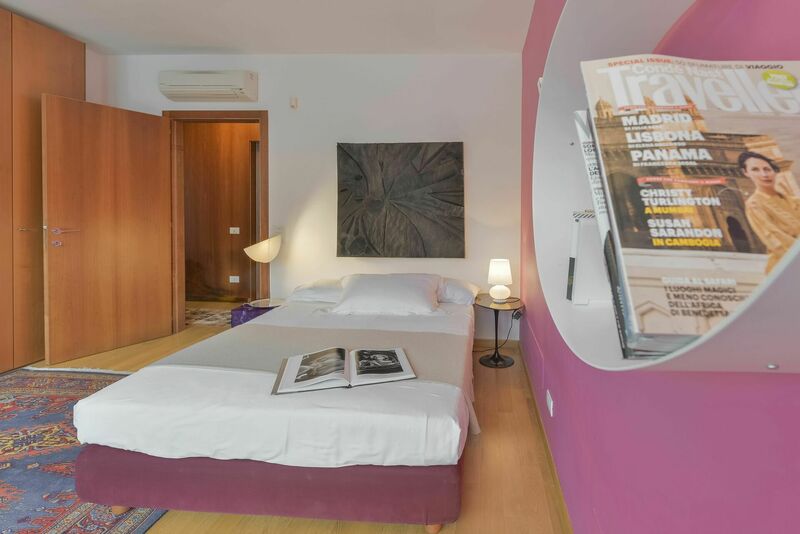 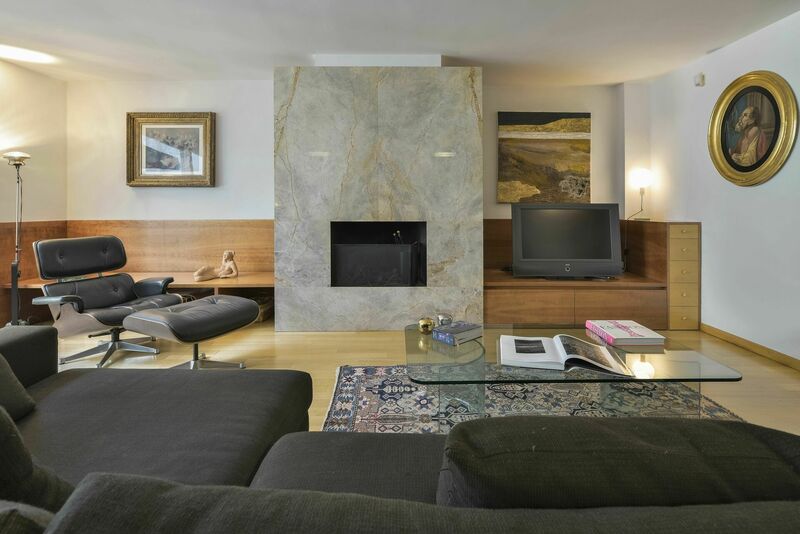 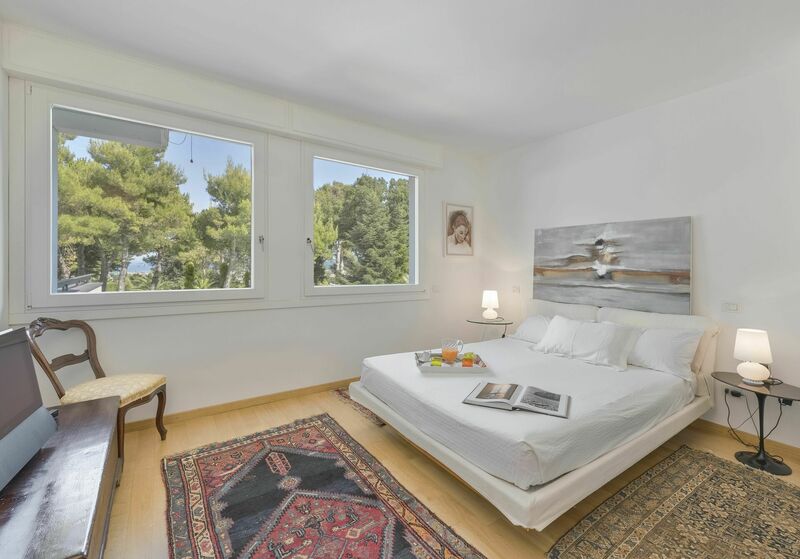 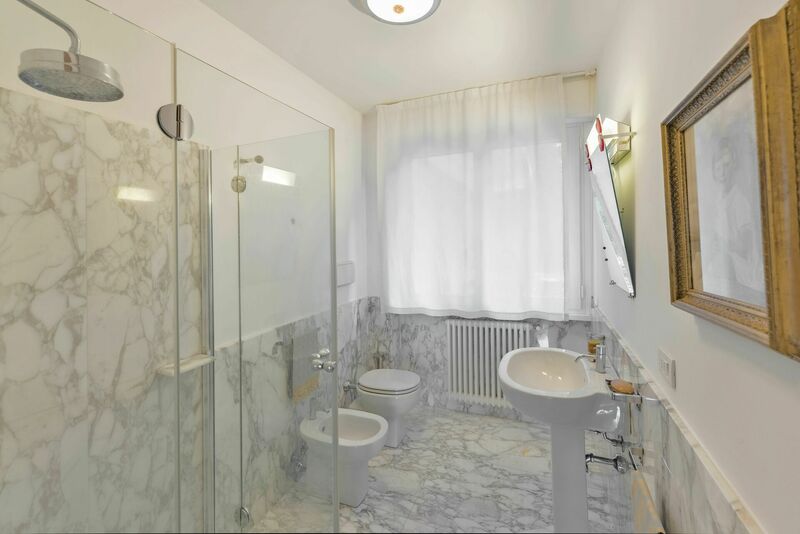 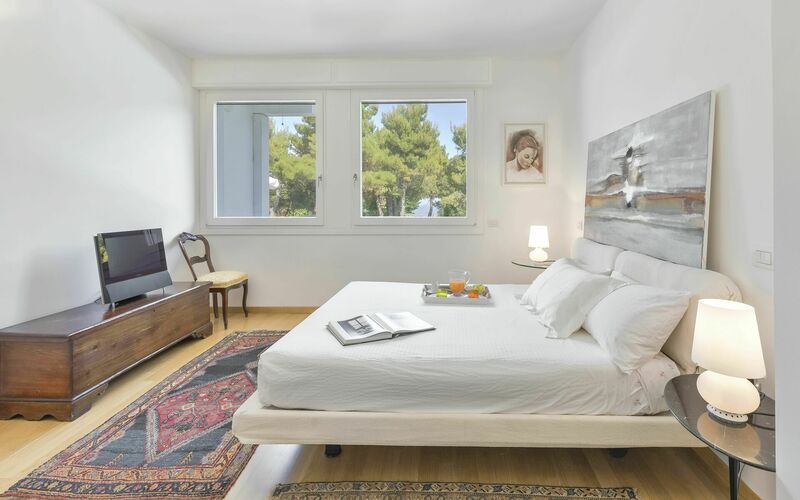 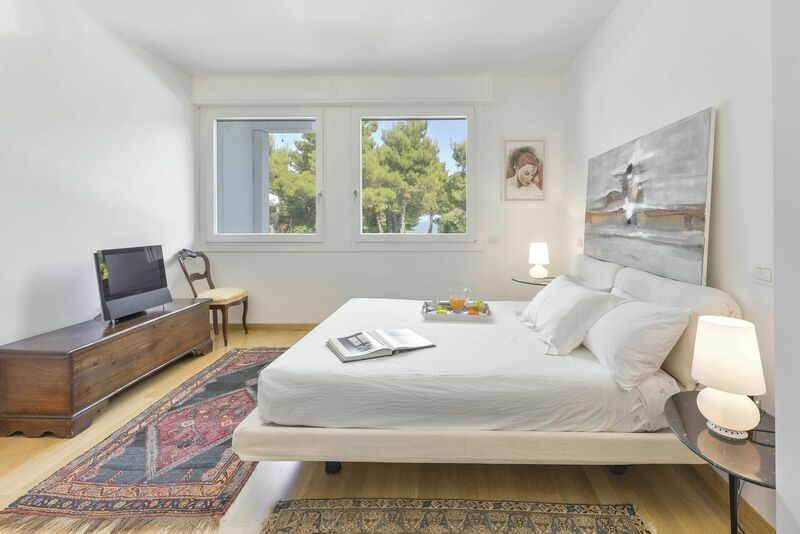 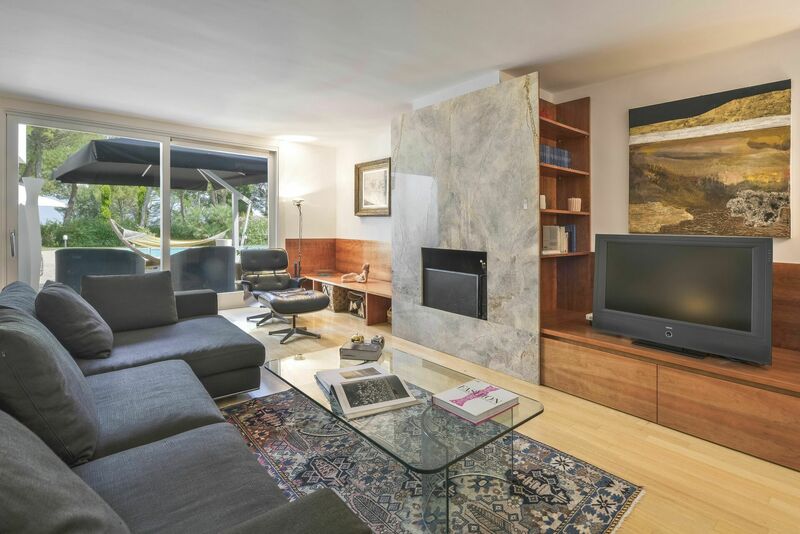 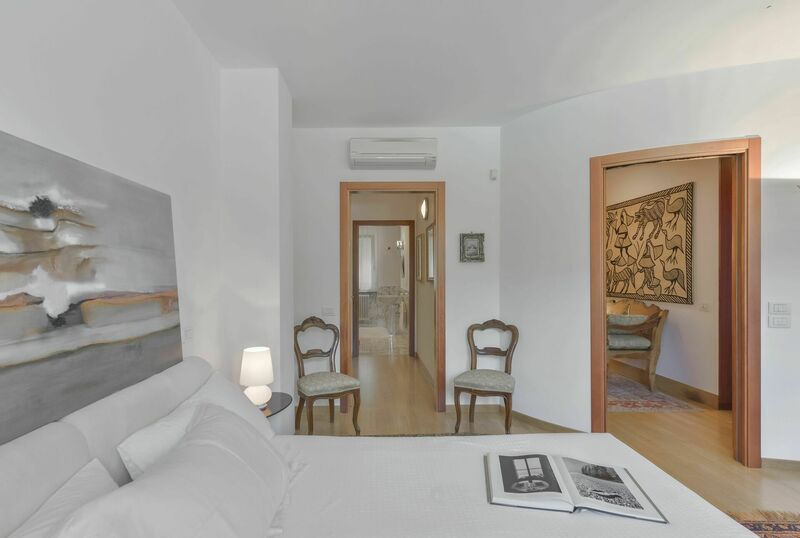 On the first floor there are two spacious and bright double bedrooms, a room with a double bed and two bathrooms. 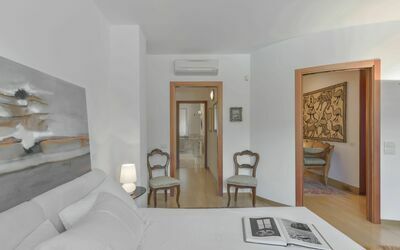 The decor is exquisitely refined, with attention to the details of taste and style, modern and practical design, cozy and sophisticated.